After having the new black Motorola Razr V3 for a little more than a week now I can finally write a small review. 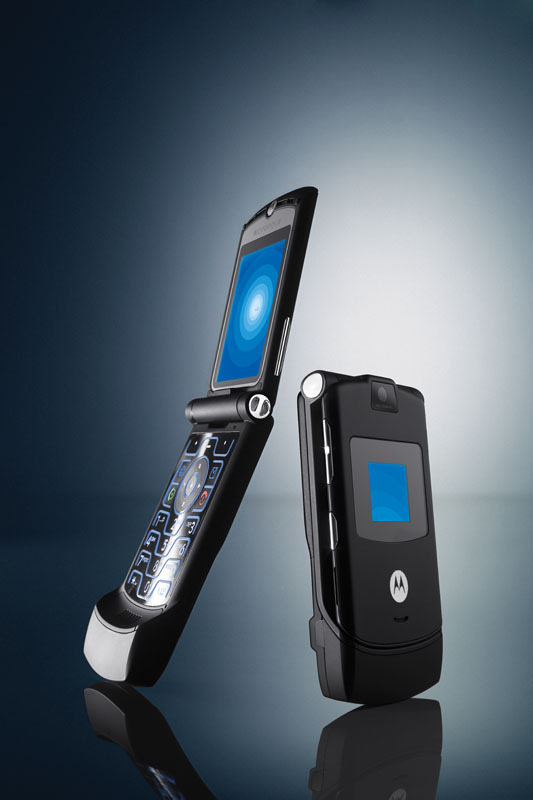 Another thing that took some getting used to was Motorola's implementation of the T9. After I found the right firmware from motox's site (motorola stock unbranded) I was able to set up the phone the way I like it, and now it works like a charm. The Razr V3 also has few very nice features: even without a firmware / flexware (software) upgrade the phone was able to play back mp3's and even mpeg4's. This is just marginally useful, since the phone memory is pretty limited (up to about 9MB with the right firmware) and has no cardreader slot. It is enough memory to upload a few mp3 ringtones, pictures, custom backgrounds, skins etc. so I don't really mind the small memory size, but people who do should probably wait for the new version of the V3 which will have more memory and a SD slot, at least as far as I know. The battery life with the stock battery is ok. It held for about 2-3 days with about an hour of talking time every day. However there are a few places where you can get better batteries pretty cheap (I paid 3€ for one that has twice the mAh than the stock one). I got mine from ebay. this site was rendered in 0.29775 seconds with a total # of 14 049 998 sites so far.